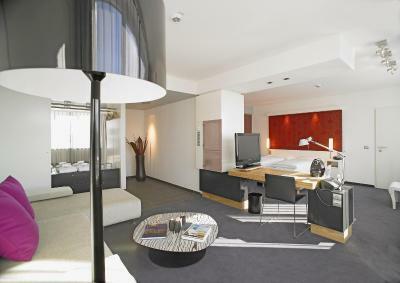 Lock in a great price for Holiday Inn Villach – rated 8.7 by recent guests! The employees at the reception, in the bar, and everywhere were amazingly friendly and helpful! 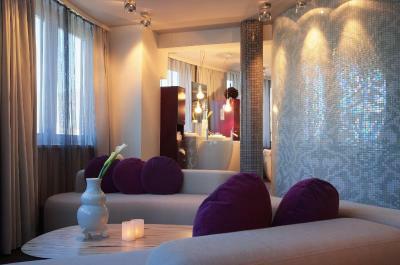 The rooms were perfect for relaxation and enjoyment! The breakfast and the food in the bar were exceptional ! Location is perfect! The river view is amazing. The staffs are very friendly. 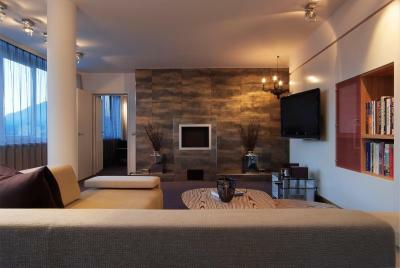 The hotel is located in a great location, 2 mins walking from city center. Great hotel, great staff. I asked for a room with a view. They made sure that I got one. The location was pretty good for exploring Villach. The underground parking was offered at a good rate and was in a convenient location. Staff seemed very friendly and willing to help/answer questions. We were only there for an overnight stay. Hotel is situated in an upscale area. Plenty of restaurants and shopping close by. Three blocks from train station. Not a resort but an upgrade from a U.S. Holiday Inn. Catholic Church next door was very convenient. Location location location.on the Dauer river in downtown Villach is hard to beat. Great room with river view, very friendly staff, probably the best hotel bar I have seen in Europe, breakfast was fantastic! Holiday Inn Villach This rating is a reflection of how the property compares to the industry standard when it comes to price, facilities and services available. It's based on a self-evaluation by the property. Use this rating to help choose your stay! This modern 4-star superior hotel is located in the center of Villach, right by the Drau River and only a few steps away from the main square. Holiday Inn Villach offers modern, comfortably furnished rooms with free Wi-Fi and LAN access, flat-screen TVs, and a pillow menu. The exclusive spa area of Holiday Inn Villach features a sauna, a sanarium, a steam bath, a yoga room, and a wide selection of massages. The award-winning gourmet restaurant Lagana serves regional and international culinary delights. The breakfast room offers beautiful views of the Drau River. A varied Mediterranean-style business lunch is served on the riverside terrace. A wide range of drinks can be enjoyed at the bar. Holiday Inn Villach is connected to a public underground car park. A jogging and cycling trail is close by. 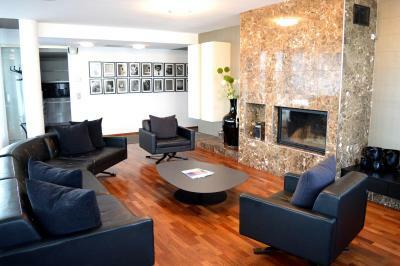 When would you like to stay at Holiday Inn Villach? This room features a modern, open bathroom, free Wi-Fi and amenities such as flat-screen satellite TV and coffee and tea-making facilities. Public parking is available on site (reservation is not possible) and costs EUR 8.50 per day. Located on a higher floor, this room offers views of the Drau River, a welcome set including drinks and sweets, a Nespresso coffee machine, free WiFi and amenities such as a flat-screen satellite TV and tea making facilities. 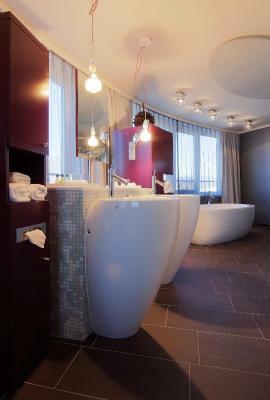 The modern and open bathroom comes with a hairdryer, bathrobes and slippers. Offering views of the Drau River, this room features a modern, open bathroom, free WiFi and amenities such as flat-screen satellite TV and coffee and tea making facilities. 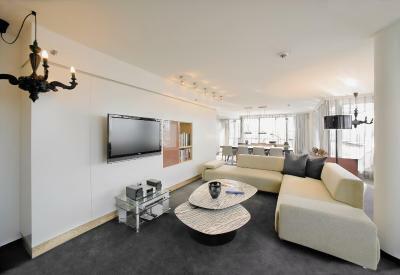 This suite consists of a bedroom, living room and flat-screen cable TV. It has a private sauna. 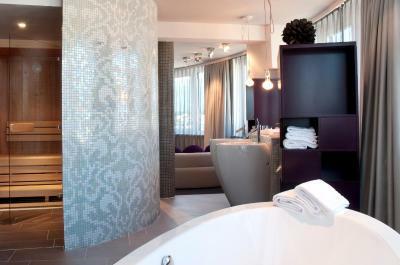 This twin/double room features a bathrobe, mini-bar and tile/marble floor. 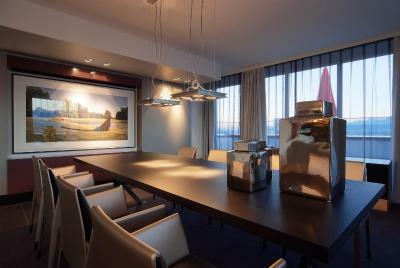 House Rules Holiday Inn Villach takes special requests – add in the next step! Holiday Inn Villach accepts these cards and reserves the right to temporarily hold an amount prior to arrival. Please note that pets are only allowed in the Superior Double Room, upon request and after confirmation of the hotel. The room was had everything you would need, quite a quirky design though. great view of the river and the town itself over the river. The bed was comfortable and sleep easy. Coffee needs to be served hot....what was served was lukewarm :) However, coffee was excellent. Bit odd that a hotel room of this standard doesn't have any kind of door on the wardrobe. This hotel is 5 minutes walk from the railway station and overlooks the river. Seems like a very new hotel so everything is in good condition. Room is very modern with a comfortable bed. Staff are helpful. Breakfast has a lot of choice and food is good. Nice bathroom. Iron and ironing board provided. Proximity to centre of town and railway station. Friendly helpful staff. Clean room, big enough with a good view. Very nice hotel in an excellent location. Everything very close. The concept of the room is a bit strange. The shower and toilet are in two separate glass blocks, in between there is the wash basin. The soundproof in the room is not that good.